Let’s analyze the market and review the events that took place over the weekend during the Asian and the European market hours. 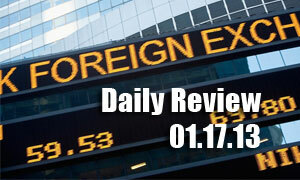 We’ll analyze these news as we analyze the news and look into today’s US market session. We’ll focus on relevant news, public comments, and any high impact releases that are shaping the overall market today, or in other words, considering the context of the market. Then we will look at the official trade recommendations issued yesterday and calculate profit/loss results. Then we’ll move forward with today’s analysis for all 7 major pairs plus any other pairs that are worth mentioning, and we will end the daily analysis with trade recommendations. Join Henry Liu’s Live Traderoom now! I'm a professional Forex trader and I have been trading for over 7 years. I was a series 3 broker and a registered CTA with the NFA, the main regulatory agency in the United States, and I have been involved at the highest levels in commodity trading. I also have a background in Information Technology, graphics design, and programming... I'm the co-founder of CurrencyNewsTrading.com, a site dedicated to fundamental analysis and news trading.